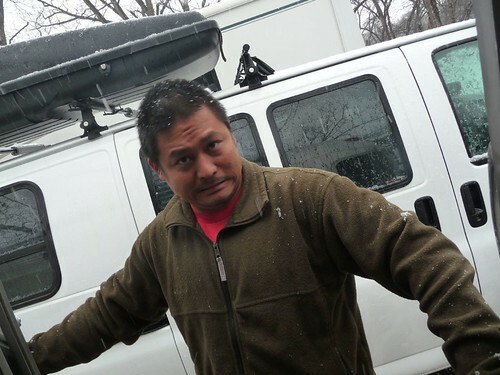 Mali Mish – Day 20: Unusual weather in Austin, Texas. Day 20: Unusual weather in Austin, Texas. Oh Austin! We have heard so many wonderful things about you. 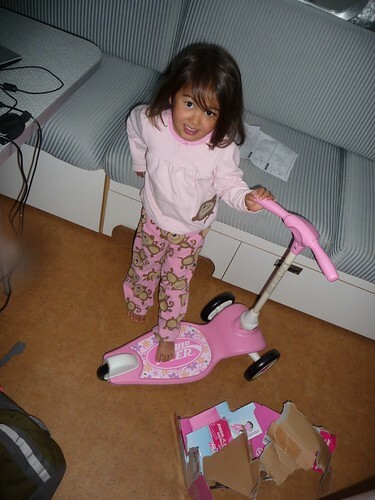 Ava even got a new scooter to ride all over your sidewalks. We can’t wait to see all of what you have to offer. We can’t wait to see why you call yourself weird. Let’s open the Airstream door and say hello to Austin! Oh oh. Umm, Austin? Is this why you can call yourself weird? What is going on?!?!?! Look at Dan!!!! According to the weather channel, it hasn’t snowed in the month of February since the 1960s. Lucky us. All joking aside, the snow was actually nice. It only snowed for a few hours and m0st of the snow melted as soon as it hit the ground. 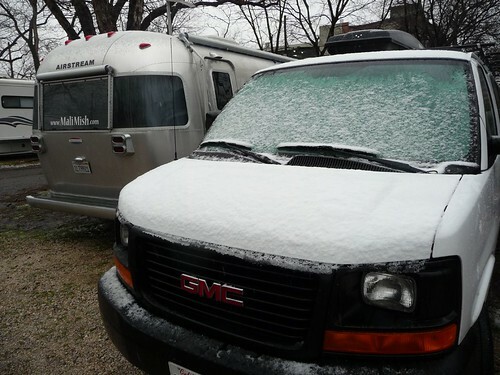 It was exciting to see the Airstream and van dusted with thin layer of snow. Dan insisted that today was the day we were going to taste some Texas BBQ for the first time. We took a left out of Pecan Grove RV Park and walked right into this place. 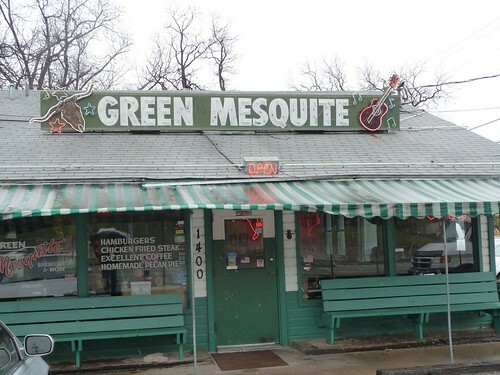 Green Mesquite. Can you please take a look at this cup? It is at least 12 inches high. And it is not an unusual cup for Austin. 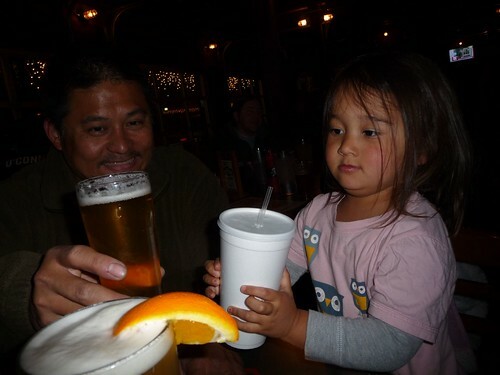 Every place we hit during our visit had cups of this size. It’s nuts! 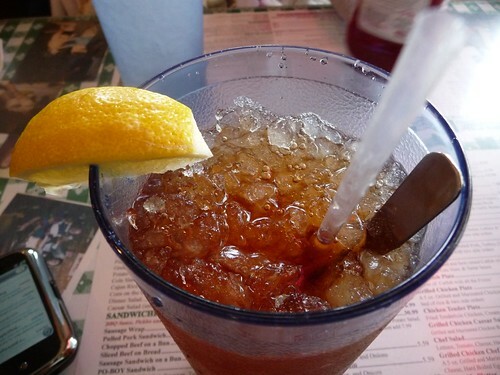 Either Texans are really thirsty… or the waitresses hate giving refills! We ordered some brisket, pulled pork, chicken and ribs and found that all but the brisket were sorta dry. We weren’t too impressed with Texas BBQ so far. 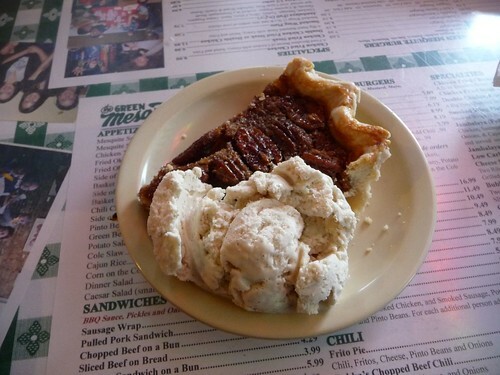 But I must say, this Pecan Pie a la mode was awesome. 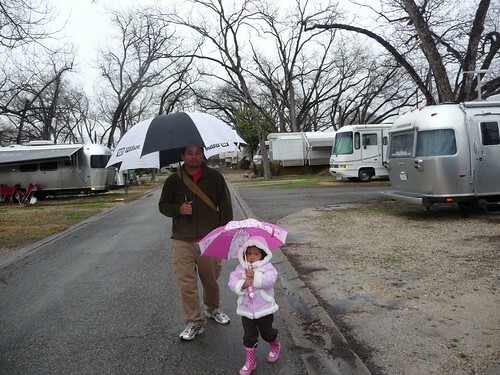 The Pecan Grove RV Resort seems to be in the middle of all the cool things Austin has to offer. So we hopped across the river once the snow let up to see what the city had to offer. There were lots of old ornate mansions around town. 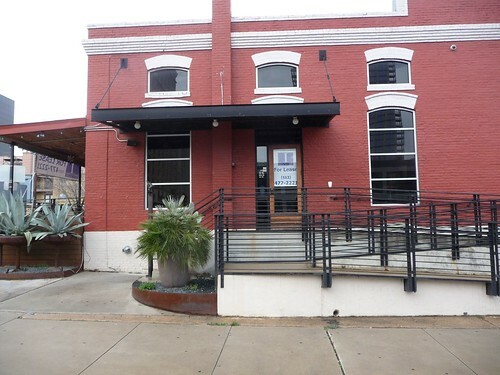 And we passed right by the Austin house from MTV’s Real World, Season 89,432,745,951. And look what else we saw. The Texas Capital building. This thing is pretty hard to miss. 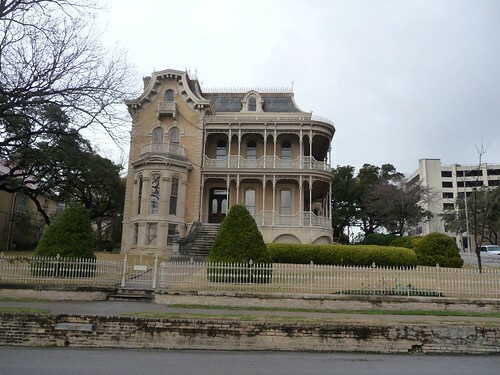 It sits on one of Austin’s highest points and feels like it is anchoring the city down. 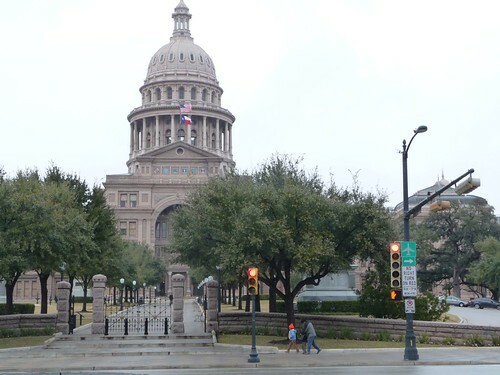 The Texas Capitol is the largest in gross square footage of all state capitols and is second in total size only to the National Capitol in Washington, D.C.
And lookie here. It looks like today is Mama’s lucky day. 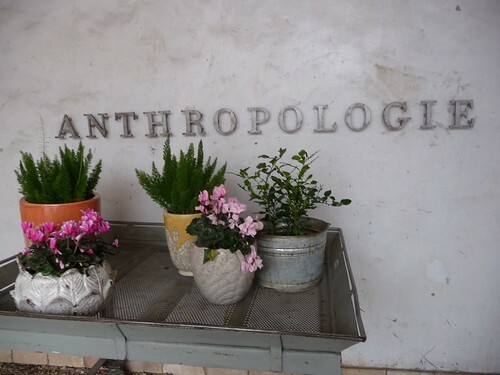 Hello there sweet little Anthropologie. How I’ve missed you so. Ava actually enjoys shopping with me. She likes to point out all kinds of objects in the store and tells me that I should try on all kinds of clothes. How can I say no to that?!?! 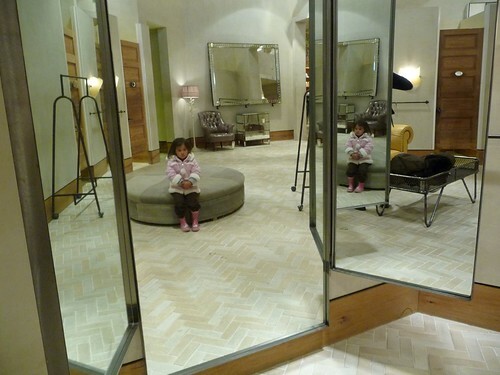 And she loves all the mirrors in the dressing area. Mila loves it too. And Dan? He loves sitting on the couch, looking the price tag, declaring OUT LOUD how ridiculously expensive the thing he is sitting on is and then watching me blush with embarrassment. 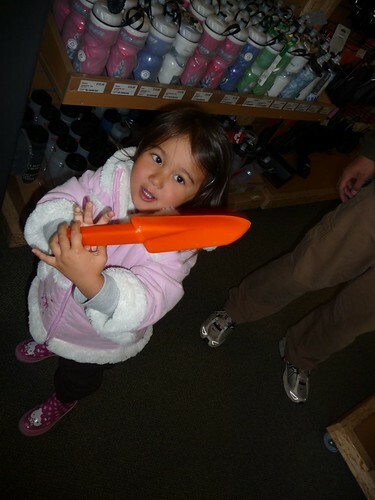 We also stopped by an outdoor store and Ava decided to do a little shopping of her own. 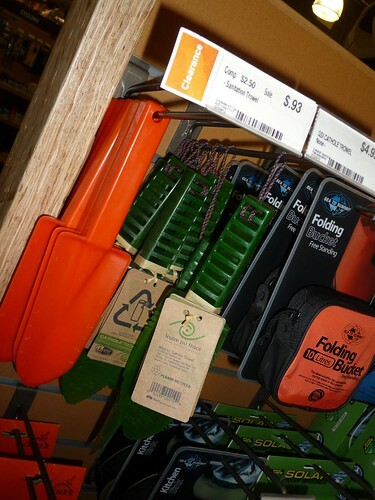 Out of all the things there, she had her heart set on this bright orange shovel. So we looked at the price tag. 93 cents. Perfect! And then we read what type of shovel it was and it said “Sanitation Trowel”. Hahaha!!!!! Perfect, once again. By the time we were done with our excursion, it was time to eat again. From the RV Resort, we decided to make a right instead of a left this time… and ran into Uncle Billy’s Brew & Que. Yup, more Texas BBQ. 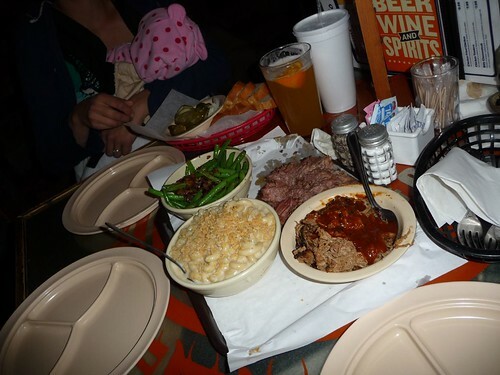 We ordered pulled pork, brisket, green beans and some mac ‘n cheese. And this time it was awesome. Not dry one bit. But we actually overdid it. We were so scared that the brisket was going to be dry that we ordered the wet version (a.k.a. fatty pieces). I seriously could not pick up a slice of brisket with my fork. It was so tender that it immediately broke into pieces. And after this meal, I can not eat anymore Texas BBQ. I don’t normally eat this much meat. I swear I can still taste the brisket two days later. I think before I leave Texas, I might turn into a vegetarian again. Cheers to us. Looks like fun, huh? But what you don’t see is that we had a really rough day with Ava. This kid has been pushing the boundaries all day long. It was getting to us. I guess she has been a little naughtier than usual during this trip. She’s a little bossier. A little less friendly with other kids. She forgets her please and thank yous. Folds her arms and turns her head when she doesn’t get her way. I think she is still adjusting to this trip as we all are. And being stuck indoors for half the day did not help one bit. I wonder if other parents go thru this at the start of their trips. I wonder if we are the only ones. Day 21: Shopping and bat searching in Austin. 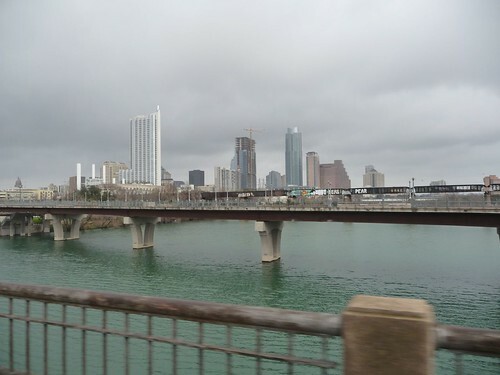 3 Responses to Day 20: Unusual weather in Austin, Texas. Welcome to Austin. Hopefully you’ll get to try Chuy’s which is very, very, very close to Pecan Grove. Make sure you ASK for “Creamy Jalapeno” for the chips. There is nothing they do badly. I have heard that Matthew McCon (spelling) has an Airstream where you are. Maybe if you’re lucky you’ll get a celebrity sighting. 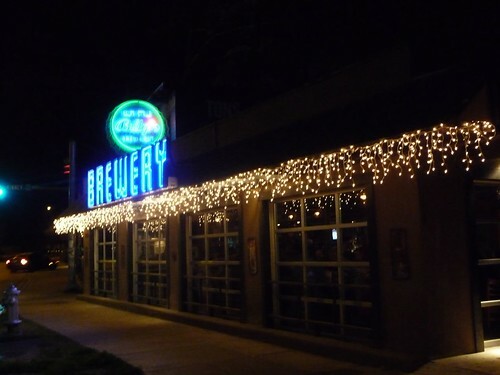 Its easier to do than you think in Austin. Anyway, good luck, cheers, and have fun. Oh – and avoid I35 as much as possible unless you just have to be on that road. 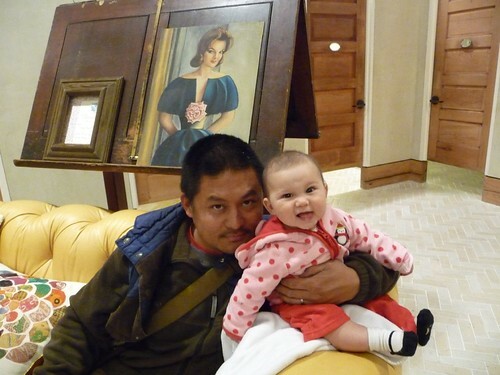 Looks like you had a great time in our fun little cow town. Hope you can make it back to see the bats!